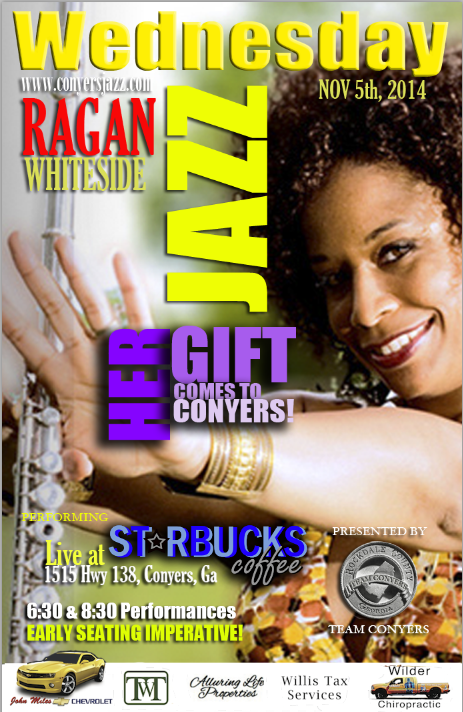 I was already excited about Ragan performing tonight at our WINE DOWN WEDNESDAY event here at Starbucks, Conyers. But last night after leaving the shop, I’m in the truck/the radio is already locked on WCLK, and I hear “We’ll be right back after these commercial messages with RAGAN WHITESIDE!!! WOW WOW WOW!!! The synchronicity was off the chain. I was ELATED that I have a most RELEVANT JAZZ ARTIST (Our own “Bobby Humphrey, if you will) performing per my request here at my home STARBUCKS! WHATS BETTER THAN THAT FEELING??? I LOVE RAGAN. THE WORLD LOVE’S RAGAN! AND YOU WILL LOVE HER TONIGHT! COME JOIN US TONIGHT. IF YOU CANNOT MAKE IT, PLEASE SHARE THIS WITH YOUR FRIENDS! STARBUCKS of CONYERS is ON FIRE TONIGHT! Here’s a sample of Ragan’s work, a previous performance here at Starbucks. 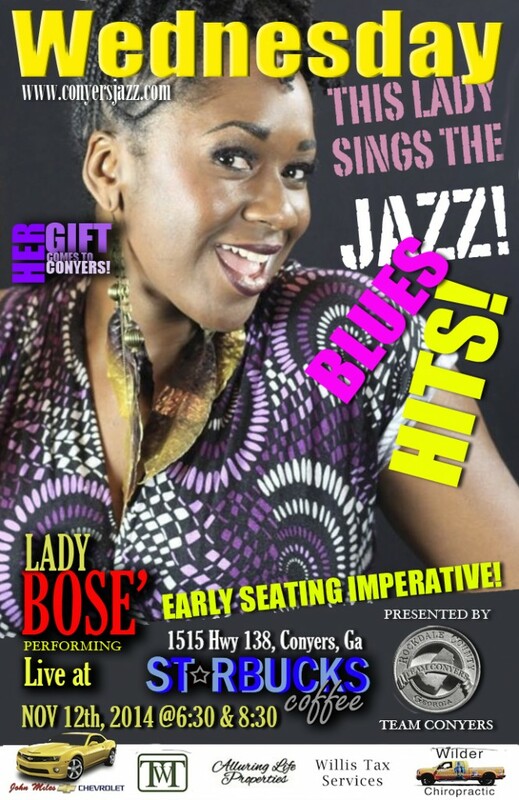 She was not the “feature performer” on this particular night (in the video), but she sure is the FEATURE tonight! HOPE TO SEE YOU! HERE’s THE CLIP!